All ECRHS students who are on track to graduate on June 11, 2019 are encouraged to apply for various scholarships offered by the school and local community. 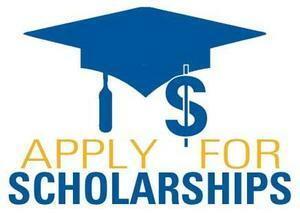 Please complete the Google Form to be considered for all scholarships. For more specific questions, please visit or contact Ms. Bonner. Her email is cbonner@pylusd.org. Students who have or will finish requirements early and are considered part of the Class of 2019 may also apply. We are proud of your accomplishments and look forward to celebrating with you in June. Go, Raptors! ECRHS Senior, Pedro Colmenares, was recognized by the Placentia Rotary and a representative from Assemblyman Chen's office as the most improved student for second quarter. Each quarter, the Placentia Rotary recognizes student improvement. The ECRHS team selected Pedro for his improved attendance and credit earning. The updated report card is now available for review. 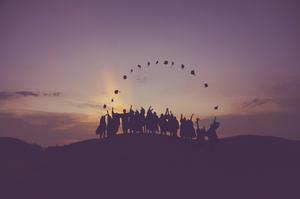 The week of January 21 marks the end of the first academic semester. The school is closed Monday, January 21, in honor of Dr. Martin Luther King, Jr.
Friday, January 25, is a non-student day. Wednesday and Thursday are minimum days. Please read the full story for a link to the Minimum Day Schedule. Thank you for taking a moment to provide feedback that will help us improve our school. We are grateful for your support. On Thursday, January 10th, El Camino Digital Design teacher, Reid Petersen, was recognized in front of his students and colleagues as the North Orange County Regional Occupational Program (NOCROP) Teacher of the Year. Mr. Petersen's dedication to students, passion for infusing creativity in the classroom, and solid character are just a few of his many positive traits. For many students at El Camino, Mr. Petersen's class provides an outlet for expression and creativity, and he challenges them to tap into talents they may not recognize they possess. Mr. Petersen is an instructional leader on campus whose passion for service and commitment to students is incredibly impressive. On Saturday, December 29, El Camino Real High School teacher, Jason Sweet, was one of four California teachers recognized by the Los Angeles Clippers organization for excellence in education. 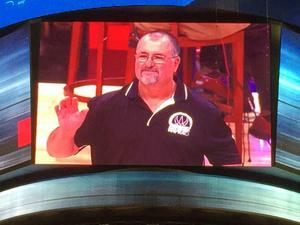 Mr. Sweet joined fellow educators in a special pre-game ceremony at center court. His family and colleagues attended the game versus the San Antonio Spurs to celebrate Mr. Sweet's commitment to serving students. In addition to teaching World History, Mr. Sweet has developed a Sports History elective at El Camino and has been a long-time coach at El Dorado. Principal, Carey Cecil, describes Mr. Sweet as "a man of solid character whose patience and willingness to work with all types of learners is respected by students and staff." Congratulations to Mr. Sweet and the El Camino Raptors on this special recognition. Santa visited El Camino to deliver prizes to students who were on the nice list. We enjoyed a school-wide celebration, Winterfest 2018, with a BBQ, games, crafts, and more. How many wins have you had today?